Facebook and Washington aren't exactly seeing eye to eye right now. On Capitol Hill, Facebook's sale of political ads linked to a Russian troll farm is seen as evidence of the company's inadvertent complicity in foreign election meddling. Lawmakers are abuzz with talk of regulation. The Senate and House intelligence committees are calling for public hearings. The political press, too, has cast Facebook as a bad actor. It's not transparent enough with users. It won't, or doesn't know how, to take responsibility for its influence. Like Frankenstein, the New York Times' Kevin Roose declares, it has unleashed a "rogue" beast upon the world. Menlo Park doesn't see it that way. Like most tech companies, Facebook is focused first and foremost on its product. That product, which already reached more than 2 billion monthly users, is growing in both audience and revenue. In the grand scheme of things, Facebook sources tell CNN, the ad scandal is a minor glitch. It just requires some tweaking. The real battle Facebook is fighting isn't over regulation, but public perception. Facebook sources anticipate that whatever regulations Congress imposes will be far narrower than the current rhetoric suggests. Politicians and pundits on both the right and the left say Facebook should be regulated like a public utility, and yet doing that would require more heavy lifting -- including the creation of new laws and perhaps even a new regulatory body -- than Congress appears to be interested in. The actual regulation is likely to be more limited in scope, these Facebook sources believe. On Thursday, Democratic Senators Amy Klobuchar and Mark Warner called for laws that would impose the same disclaimer requirements on digital advertising that cover ads on television and radio. Facebook sources described it as relatively harmless. But how Facebook fares in the court of public opinion is a different matter. A sustained barrage of congressional inquiry and media scrutiny could do damage to the brand, at least here in the United States. Facebook sources said they believe the company has been unfairly demonized by lawmakers who want to posture against the social media giant for political purposes and by a media eager to throw stones at a tech Goliath. That attitude inside Facebook partly explains the company's initial reluctance to hand over to congressional investigators copies of the 3,000 ads it sold to Russia-linked accounts (a decision it reversed on Thursday). Facebook sources said the company is much more content to work with Special Counsel Robert Mueller than it is Congress because his investigation has a defined focus and is taking place outside of the public eye. Lawmakers are much more likely to use the data to grandstand against Facebook if they believe it will help them politically, people inside Facebook believe. Lawmakers say they're doing their jobs, which is protecting the interests of American citizens. If Facebook isn't happy about it -- well, they should have thought of that before they created such a vulnerable ad platform. So far, Congress appears to be winning the public relations battle. On Thursday, the company reversed course and said it would give the ads to congress -- in part, sources said, because public pressure had made holding out untenable. Facebook needs to be seen as working with Congress if it is to mitigate scrutiny and regulation. This, too, is why Zuckerberg held a Facebook Live event on Thursday. 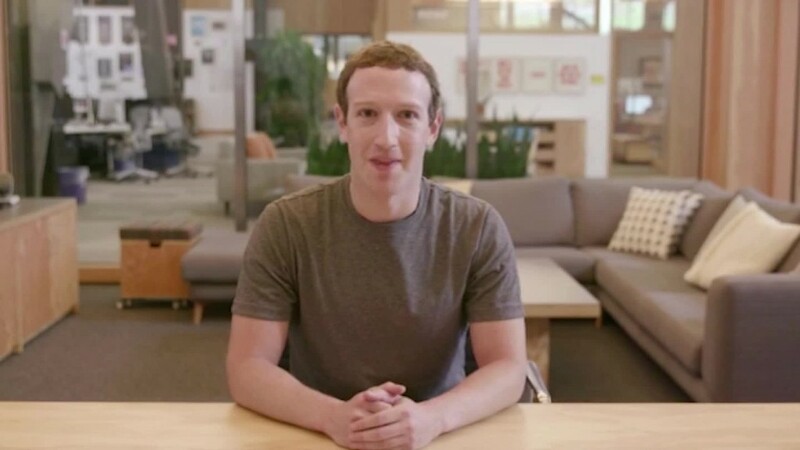 He wanted to stress Facebook's commitment to "the democratic process and protecting its integrity," but also to try and remind the public about what Facebook believes is the bigger picture. "It's important not to lose sight of the more straightforward and larger ways Facebook plays a role in elections," Zuckerberg implored the public, "and these effects operate at much larger scales of 100 times or 1000 times bigger than what we're discussing here."